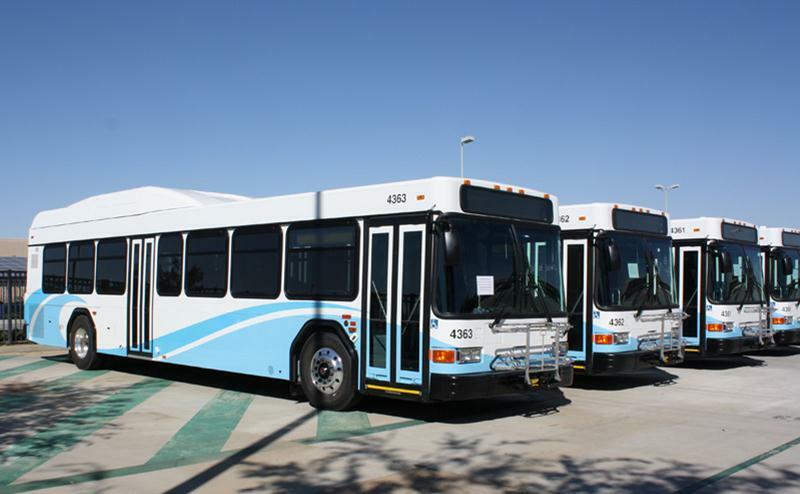 LANCASTER – The Antelope Valley Transit Authority (AVTA) is seeking the public’s input on a number of proposed service changes that affect eight of the transit system’s 20 routes. A series of public meetings will be held over the next two weeks to present the proposed changes and solicit input from residents. The most notable improvement is the proposal to create a new Route 14 that is designed to serve residents in Pearblossom who currently have no public transit available to them. Proposed changes also call for increased service on the popular Route 1, an arterial route connecting the cities of Lancaster and Palmdale. Another proposal seeks to restructure the Route 10 to meet peak ridership demands, and there is a proposal to modify service frequency on Route 6. AVTA is also proposing to add another run to its new North County TRANSporter service as ridership in the late afternoon has exceeded expectations. All three commuter routes also have proposed changes to their time schedules to better meet customer needs. Finally, major changes are proposed for the Lake L.A. Express as planners hope to increase the route’s frequency and reroute the line to maximize efficiency. AVTA will hold five meetings at various locations throughout Antelope Valley to solicit input from residents who may be affected by the changes. Here is a list of locations where you can go to learn more about the service changes. Wednesday, January 9, 6:30 p.m.
Monday, January 14, 6:30 p.m.
Wednesday, January 16, 10:00 a.m. Residents may also e-mail their input to planning@avta.co. A full brochure detailing service changes is available here. 11 comments for "AVTA needs your input on proposed service changes"
New time 7 minutes early. which is going to hurt more than one person. At least Marv and Rex got their wish and stopped a route going to the mall. Maybe they can put in a stop near the new Wal-Mart on L.
They really did that? Do buses go down the BLVD? Can they fit? They should do away with these bus services, they make no money and they waste money. Since the government is broke and all. I have heard they are going to cease giving free rides to those that have enjoyed the service. I have heard the seniors,active military and vets, and finish it off by making the disabled pay. These meetings held all over the valley will be poorly attended and that will give the staff the green light to make the change. These people ride the bus for crying out loud so why are they not picking them up and taking them home if they really cared. They do not. The people you mentioned should be able to purchase discount tickets with their ID. Just a thought. how could you not like that idea..[removed]. The disabled ride free program is administered by me, the AVTA was discriminating against us almost 4 years ago, that’s why they don’t pay, the were breaking state utility code 99155 part B and I was in the valley Press as well, they published my story, now as far as military vets go they can do away with that cause its not a state mandate, now as far as seniors and disabled if they do remove it, they won’t have enough ridership to justify federal funds, you have to have 12 people riding per bus hourly to justify service, if it goes below that AVTA would have to reduce service, A LOT of disabled and seniors use the fixed route, which would mean that route 1, 2 and 3 would most likely go hourly, cause seniors and disabled mainly use those roues. Actually, its required to study all the fare schedules, and audit the budget and operations. Nothing has been discussed, as the report hasn’t been done yet. The only current discussions are the route and schedule changes, and making the dial a ride service more efficient and effective. My issue is that the AVTA has known about this for MONTHS and even had brochures with details that COULD have been put on the buses but didn’t say a word to the general ridership until January 8th. Somethings smells. Do they have any legal obligation to X number of days notice?